Just a few days after registering success with Camp View, trainer Darren Weir has added another Tavistock debut winner to his stable’s successful tally, this time doing so with Boomstock at Warrnambool. The three-year-old was having his first start and produced a superb finish, winning in eye-catching fashion over 1400m for owners Carbine Thoroughbreds, Mr A R Davis, Mr M Yeo, Mrs A Yeo, Mr A Yeo, Ms G Yeo, Boom Rat Racing, Mr RI Chapman, Mr DM Foley, Ms P M Dunne, Mr N R Hildebrand, Mr B Philpott, Mr K W Burford, Mr F A Bayne, Red Vest Racing, Mr B J Bourke, Mr D S Wakefield, Mr R Davies and Mr B T Corcoran. Bred by Sir Patrick and Lady Hogan, Boomstock was purchased by Champion Thoroughbreds at the 2017 Premier Yearling Sale for $220,000. 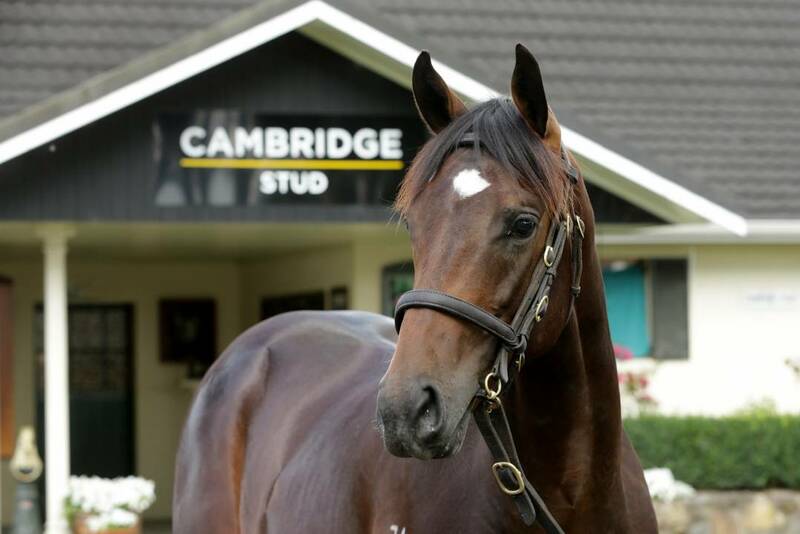 Cambridge Stud offer a full brother to Boomstock at the 2019 Karaka Book One Sale (Lot 257 – see photo). Their now deceased dam Obey (Zabeel) is the mother of two winners from three to race.